Reserves Day is a chance to recognise and appreciate the integral part that Reservists play in the UK’s Defence capability. In 2019 Reserves Day is on Wednesday 26th June. More than 32,000 Reservists are committing their spare time, balancing their day jobs and family life with a military career, to be ready to serve should their country need them. 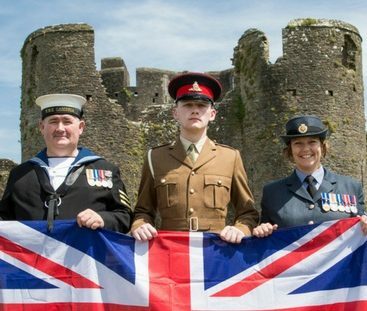 To ensure that Reservists are understood and appreciated, the Ministry of Defence invites Reservists to wear their uniform to work for one special day each year during Armed Forces Week, and encourages businesses to use this day to highlight the benefits of Reserve service to their workforce. Reserves Day is on Wednesday of Armed Forces Week which culminates in Armed Forces Day on the following Saturday. Hold a cake sale to fundraise for a military charity. Display an Armed Forces Day flag. Support an Armed Forces Day event. Sign the Armed Forces Covenant. Hold a lunch-time skills-builder workshop. Share or write an article about the Reserve Forces, especially those in your company. Put up posters in the office communal areas. Place email signature banners on all external emails for the week. Play the Reserves Day video on office TV screens. Invite your local Reserve unit into the office to explain what they do. Take part in the @DRM_Support #SaluteOurForces social media campaign. Take part in the #ReservesDay social media campaign. For even more ideas, check out the Armed Forces Day toolkit here. Reservists are everywhere, but you might not know it. 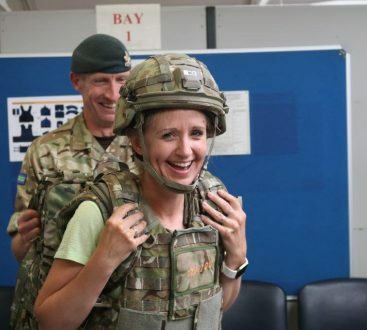 So on Reserves Day, reservists from across the UK are encouraged to swap their civilian work clothes for their military uniforms in order to help raise awareness of the integral part they play to the UK Armed Forces. Encourage your Reservist employees to take part in this and share pictures of them on social media. We’ve prepared an easy-to-use guide to taking part in Reserves Day for businesses. From drafting an internal email promoting Reserves Day, to where to buy an Armed Forces Day flag, we’ve got you covered!